Are you planning for your next luxurious weekend staycation with your family or friends? Ascott Makati, a premier service residence located in Ayala Center Makati, has recently unveiled its newly renovated suites. 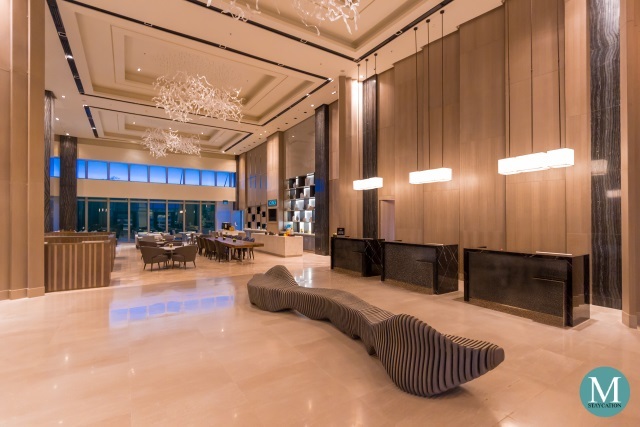 With their spacious living and dining areas, designer interiors, luxurious fittings, fully-equipped modern kitchens and state-of-the-art home entertainment systems, you will definitely experience a higher level of luxury and sophistication during your stay. Ascott Makati has a total of 362 serviced residences which are designed for international business executives and leisure travelers who require the comfort of home living matched with five start hotel service. Ascott Makati is managed by The Ascott Limited of Singapore, the world's largest international serviced residence owner-operator. 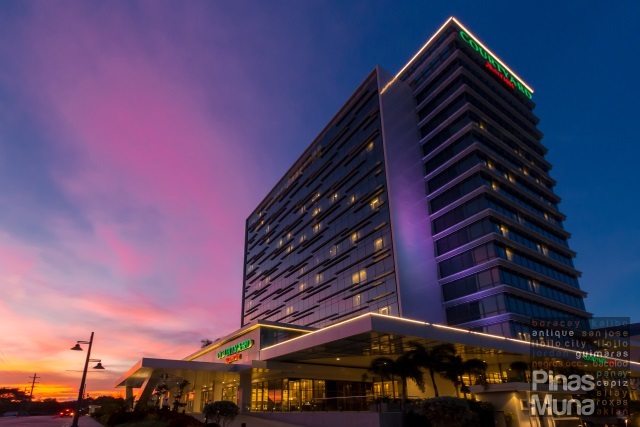 I have been to Ascott Makati for several times already to attend strategic planning sessions organized by our company, but it was only this May when I finally had the chance to spend a weekend staycation there. What I first noticed was the new layout of the lobby where the front office is now located next to the glass wall. Just like at Ascott BGC, the front office at Ascott Makati provides the comfort of a seated check-in to its guests. A portion of the lobby opposite the front office is also currently being refurbished into a new premier F&B outlet which will be managed by Myron's Place. We stayed in a One Bedroom Executive Suite located in Tower 2 of Ascott Makati. The suite measures 74 sqm and has separate living and dining area, a kitchen and an en suite bathroom. As always, Ascott properties do a great job in welcoming its guests with a variety of fruits and local treats. We had jarfuls of dried mango, dried mango-tamarind balls, otap with mango syrup, and a platter of fresh mangoes, oranges, apples, grapes and bananas. The first thing we checked out was the bedroom. We love the mix of teal and gold patterns of the pillows and the bed runner, while the bluish-grey hue of the walls give a cooling and relaxing feel to the eyes. If you are a business traveler coming from a long flight to Manila, the best reward you can give yourself is an uninterrupted sleep. The king size beds at Ascott Makati's newly renovated suites will definitely be a haven for relaxation. Your body will sink into the plush topper of the bed while the mattress will provide adequate support to your weight, ensuring a very comfortable sleeping posture. Further adding to the quality of sleep are the duvet covered with high threadcount sheets and the plush pillows that perfectly supports the neck. Bedside conveniences such as reading lamps, bedside switches and ample power outlets are just some of the features you wish you had at your own home. The bedroom is equipped with its own individually controlled air-conditioning unit, a huge LED TV with local and international cable channels, and a working desk with a multimedia panel where guests can charge their gadgets through the universal power sockets or USB ports. 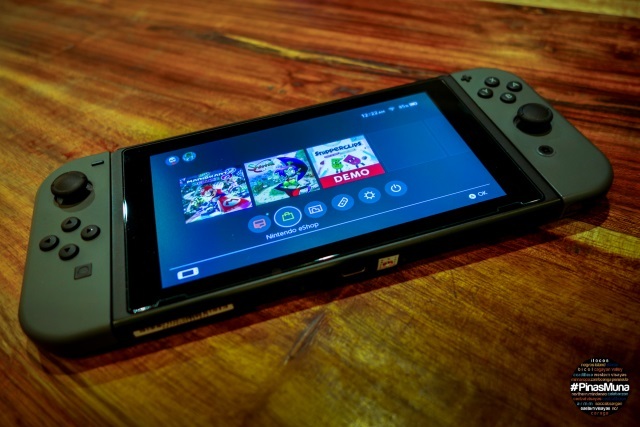 Guests can also connect their portable devices to the audio, PC and HDMI ports to play audio and video on the LED TV. Complementary WiFi Internet connection is also available inside the whole suite. If you need to catch-up with work, you can conveniently connect your laptop to the Internet via LAN. Username and password to connect to the Internet will be provided to you upon check-in. The bedroom's spacious wardrobe conceals an electronic safe which can fit a laptop, a laundry basket, an iron and an ironing board. There are also room slippers and bathrobes stored inside the closet. The closet also leads to the en suite bathroom. There's a single basin with a wide mirror mounted on the wall above it. There's also a magnifying mirror and a hairdryer installed next to the basin. Opposite the basin are the toilet and the tub-shower. Hot and cold water flow through the handheld shower and rainshower heads. Water pressure is excellent and water temperature is easy to regulate. 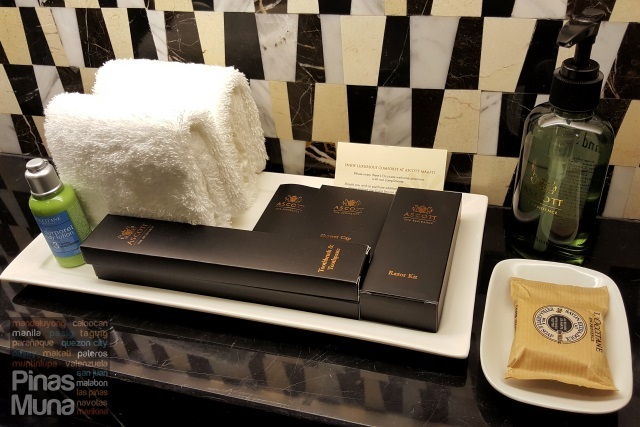 Thick cotton towels are provided including face, hand and bath towels. Standard to all Ascott Residence properties are the L'Occitane en Provence branded bathroom amenities including shampoo, conditioner, shower gel, hand soap and body lotion. A new addition is the Ascott branded hand washing gel in a plastic bottle dispenser. Other bathroom amenities include dental kits, shaving kit, shower cap and cotton buds. The great thing about staying in a serviced residence such as Ascott Makati is that guests enjoy the comfort and convenience of a home and the quality service of a hotel. This is why Ascott does not only focus on delivering outstanding sleep quality, but it also recognizes the importance of providing elegant and functional living spaces. The living area is well appointed with plush sofas and tastefully selected fixtures and accent pieces. It is the perfect place to spend time with the family by watching movies or simply enjoying time with your friends over coffee or afternoon tea. Just like at Ascott BGC, the sound system of the LED TV was impressive. Next to the living area is the dining area featuring a round dinner table that can seat four persons. The suite also has a laundry area and a fully equipped kitchen, unique features that you can only enjoy in a serviced residence. 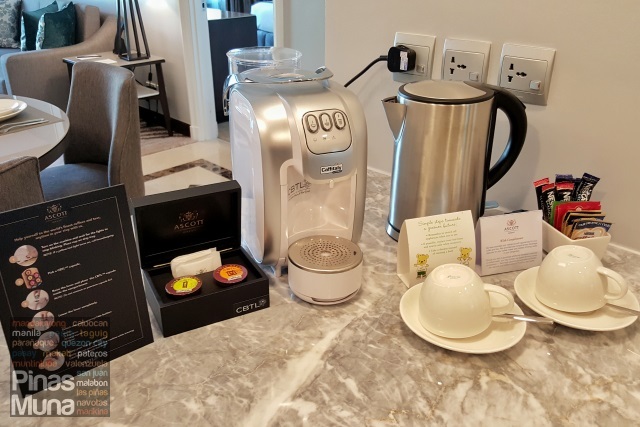 Part of the kitchen amenities are the electronic kettle and the CBTL-branded coffee and tea making facility which allows guests to enjoy freshly brewed Coffee Bean & Tea Leaf premium espresso, coffee and tea beverages right at the comfort of their serviced apartment. The kitchen also has a refrigerator, a cooker hob and hood, and a microwave oven. There's also a bread toaster and rice cooker stored inside the kitchen cabinet. 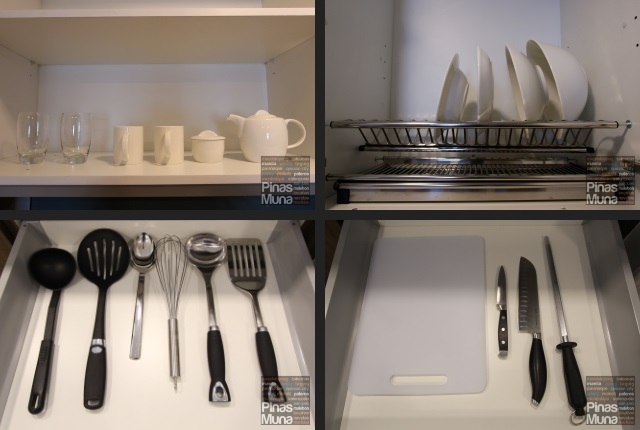 More kitchen utensils such as stock pot, fry pan and sauce pan are stored in the kitchen cabinets, as well as plates, bowls, mugs and glasses. There are four sets of cutlery including soup spoon, spoon, fork and knife. Long staying guests can really benefit from the kitchen amenities as it will be more economical if they would cook their own food. There are supermarkets and 24 hour convenience stores located near Ascott Makati where you can shop for fresh ingredients. Whether you simply love cooking or you have food restrictions, you will definitely enjoy these kitchen amenities. If you will be staying at Ascott Makati for a staycation, we do encourage you to cook your own food. It's a great bonding activity with your family or barkada. None the less, you can always order from room service or have food delivered as well. During our stay, we also checked out the Studio Executive Suite which for its floor area of 53sqm is much more spacious than most studio hotel rooms in the Makati area. The unit is ideal for solo travelers or couples on vacation or staycation. And because it is a serviced apartment, it has a separate living area, dining area and a fully equipped kitchen complete with a refrigerator, a microwave oven, a stove, an electronic kettle, a coffee and tea making facility, a rice cooker, a bread toaster and all standard kitchen and dining utensils. The living area is smartly layed out so that it still feels spacious and comfortable. The living area has its own LED TV with international and local cable channels. Separating the living area to the bed area are sliding panels which can be closed when privacy is needed. The bed area also has its own LED TV with cable channels. The bed is of the same quality as our bed in our one bedroom suite. The bathroom is also spacious and well lit. The walk-in shower has a rain shower head installed. Complete L'Occitane en Provence bath and body amenities are also provided. Ascott Bonifacio Global City Manila is a new serviced residence located at the Bonifacio Global City (BGC), featuring 220 luxurious and spacious studios, one-, two- and three-bedroom penthouse units that offer comfort, convenience and privacy of a modern home, matched with state-of-the-art amenities and the highest standard of service expected of a luxury hotel. Cafe on the 6th is Ascott Makati's all-day dining restaurant. We've first tried it back in 2011 during our company's strategic planning session and it is nice to be finally back after five years. The place remained cozy and classy while the quality of the food was consistent to how I remember it. We had our dinner at the restaurant during our recent stay at Ascott Makati. While choosing for dishes to order from the menu, the staff served us with soft rolls and butter. The rolls were served warm which made it easier to spread the butter onto it. For starter, we had the Caesar Salad which is topped with freshly shaved Parmesan cheese. The romaine lettuce was very fresh and crisp while the Parmesan had a very rich flavor. The Caesar dressing was perfectly made, creamy and slightly tangy. We then had an order of their Truffle Mushroom Soup which we had split into two bowls. It was very rich and creamy, heavy on the earthy flavor of the truffles, with a well balanced saltiness and bitterness. We enjoyed it to the last drop using the remaining soft rolls to wipe off the bowl. For the main course, I had the Pan Fried Salmon, a generous portion of which was served on a bed of baby tomatoes and steamed vegetables with a mixture of basil pesto and tomato anchovy sauce. The salmon retained its naturally sweet taste which went well with the carrots, asparagus and zucchini. We also had an order of the Baked Spring Chicken, not knowing that it's half a chicken per serving. For it's price of P480.00, this is a great value for money. The chicken was tender and moist. It was beautifully flavored with aromatic thyme and served with baby potatoes and steamed vegetables in a bed of milk and sourcream sauce. This dish is good for sharing. For dessert, we had the White Chocolate Mixed Berry Creme Brulee served with a wafer stick. The custard wasn't too sweet which made it more enjoyable for us. We finished off our dinner with brewed coffee. After dinner, we had in-room massage service from Paradasia Royale Spa, the same spa that services Ascott BGC, Somerset Olympia Makati and Somerset Millennium Makati. Paradasia also has massage tables and massage chairs at the spa located next to Ascott Makati's lobby. We had the 60 minutes Swedish Massage. We tried Paradasia several times already and what we like about them is the consistently good quality of their massage. Another amenity that you can enjoy during your stay at Ascott Makati is the fitness center. It is well equipped with the latest workout machines as well as dumbbells and other free weight equipment. The fitness center also has workout studios where guests can join group workouts as well as yoga sessions. There are locker rooms where guests can store their bags and other personal items. Checked-in guests can also use Ascott Makati's open air tennis court. Ascott Makati's swimming pool is currently being renovated and will be reopened in August 2016 to include a jacuzzi and a poolside bar. We will update this post as soon as the swimming pool reopens. Ascott Makati is also developing a Cubbies room, a playroom for kids which children of long-staying guests will surely enjoy. Aside from toys, kids can also take part in children activities hosted by Ascott Makati. An overnight stay at Ascott Makati includes complimentary buffet breakfast for two at Cafe on the 6th. The spread is just right to have various food options that can cater to different diets, food preferences and restrictions. There's a bread and pastry station, a salad and fruit station, a cereals and yogurt station, an omelet station, a congee station, and a mains station. 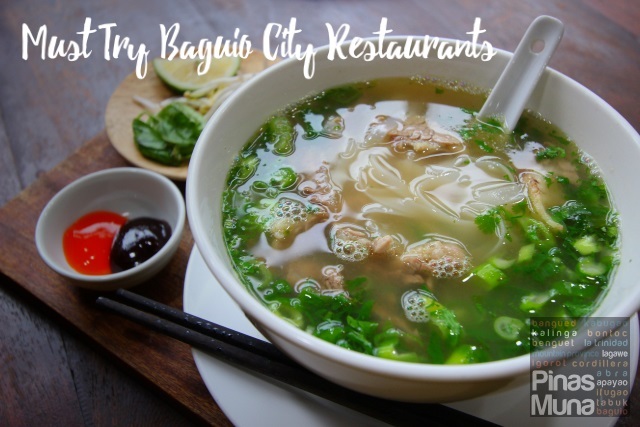 The congee station has an impressive selection of toppings while the mains station has about six to eight dishes to choose from. 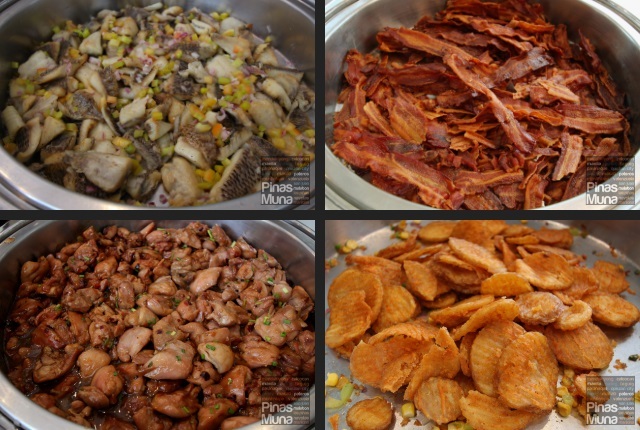 The crowd favorites are the very crispy Ascott Bacon and the flavorful Mojos. The buffet spread may be not that overwhelming but we can assure you that every dish served on the buffet was well executed and will not disappoint your tastebuds. Here are some of the dishes we tried. The pain au chocolat was soft and flaky, and so are the croissants and other viennoiserie. We aslo loved the bread pudding which is perfect with freshly brewed coffee. We ordered ham and cheese omelet from the omelet station and had it served on our table. The omelet is best paired with salad and toasted bread with butter. Here's my plate of mojos and bacon. I also had sausages and fried tilapia. My personal favorite is the keema, a South Asian dish of minced beef, lamb or goat, mixed with peas and stewed with curry. Finally, we had a platter of sliced fresh fruits such as pineapples, mango, watermelon and honeydew. 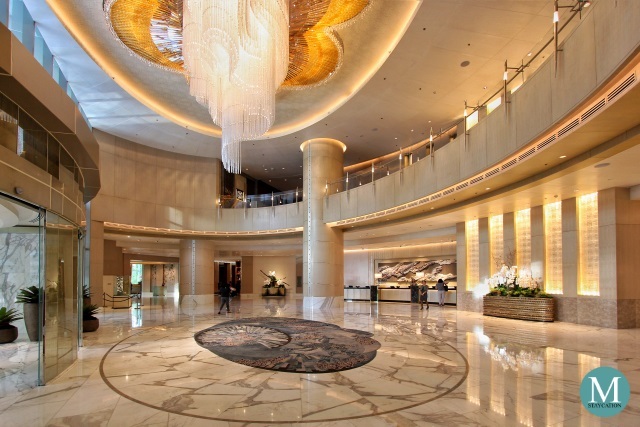 Ascott Makati already is a favorite among business travelers and staycationers. With its newly renovated luxury suites, Ascott Makati reasserts itself as the most luxurious serviced residence in Makati. 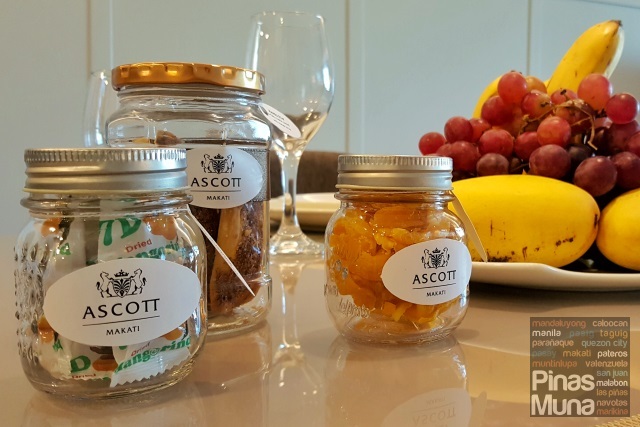 With the soon completion of the renovation works and the opening of a new dining concept in August, we see Ascott Makati, together with Ascott BGC, dominating the staycation market in the second half of 2016. 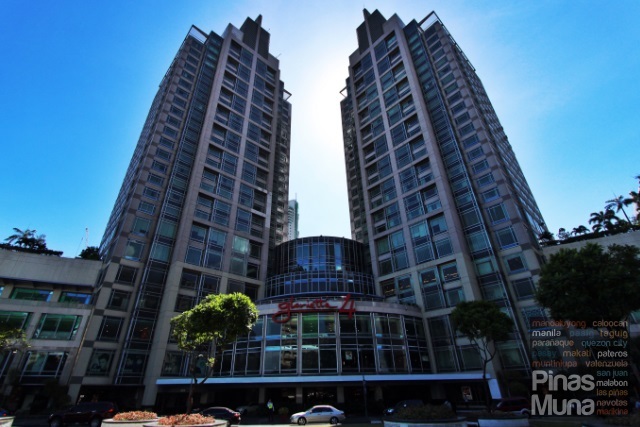 The use of this 360° virtual tour of Ascott Makati is authorized by Traveloka.